How many lawyers does it take to create a miscarriage of justice? Depends on the lawyers. 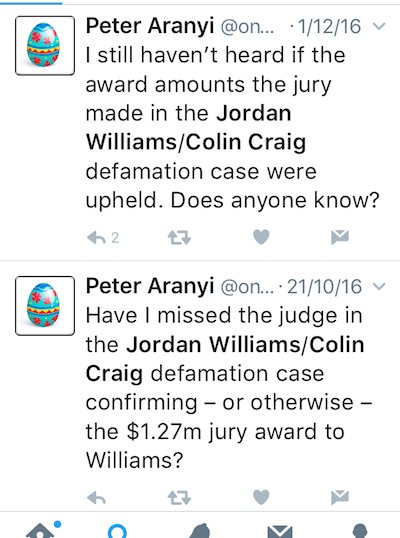 I had an ‘incomplete’ feeling about that jury award in the Colin Craig/Jordan Williams defamation case – the ‘record’ amount of damages totalling $1.27M awarded in September 2016. It seemed to me there was a step outstanding: It hadn’t been confirmed by the judge in the case. It wasn’t until 12 April 2017 that Judge Sarah Katz released her judgment SETTING ASIDE the jury’s record damages award to Jordan Willliams as a miscarriage of justice. By extension, it was also bad news for Cameron Slater, Jordan Williams’s Life Coach and co-conspirator in the ugly, brutal destabilisation campaign at the heart of this defamation action. 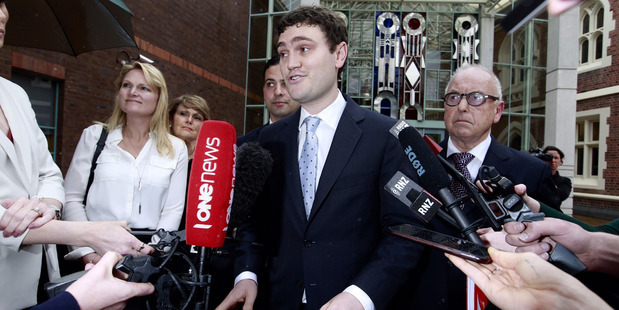 Slater Jnr is approaching his own day in court – as defendant in a defamation suit brought by Colin Craig. He’s also facing another, similar lawsuit brought by scientists he [allegedly] smeared on behalf of Carrick Graham’s client Katherine Rich and the food manufacturer lobby group she headed up. More on that another time. 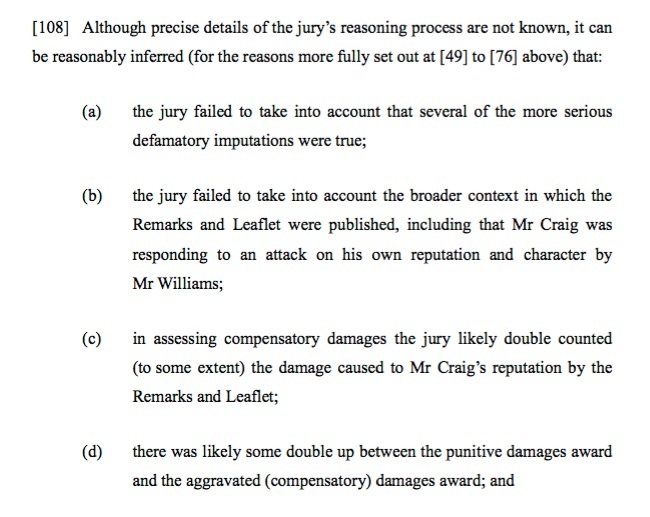 But Slater had crowed about the ‘record’ damages award against Craig to Williams, apparently interpreting it as a good omen. Indeed, he predicted massive success in his own case (in between publishing begging letters to his cult, asking them to help pay his ‘legal fees’). We all knew the jury found for Williams – found him to have been defamed, and awarded record-setting, ‘breathtaking’ damages. As it turned out, this week, Judge Sarah Katz released her decision: rather than confirming the damages the jury awarded, she ruled that they were excessive, way out of bounds. 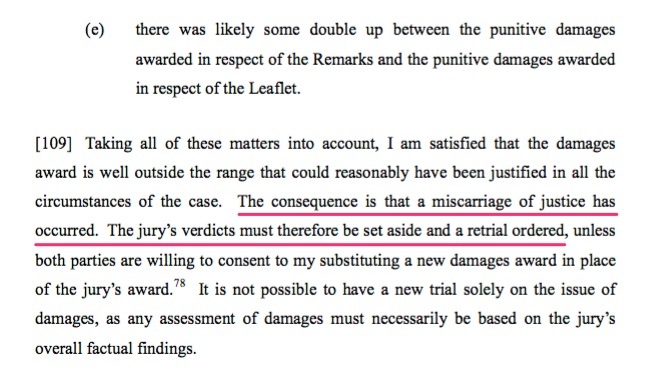 So excessive, that she ruled the outcome was a miscarriage of justice which qualified for a retrial. Golly. I don’t propose to re-litigate it here, nor go through the elements of the case it seems the jury got ‘wrong’. But let me say that Williams’s hired gun, defamation law specialist Peter McKnight, must be a very persuasive character. Honestly, if I’d been there I would have laughed out loud at such nonsense. It was Jordan Williams who was shown to have launched a subterranean campaign to disgrace and destroy Colin Craig. (Judge Katz: “For all intents and purposes he mounted a campaign in the following weeks to remove Mr Craig as Conservative Party leader.”) It was Williams who (um, how can I put this?) exaggerated a great deal; about what he knew, what he had seen, what Craig had supposedly done, said, paid, and ‘sexted’. 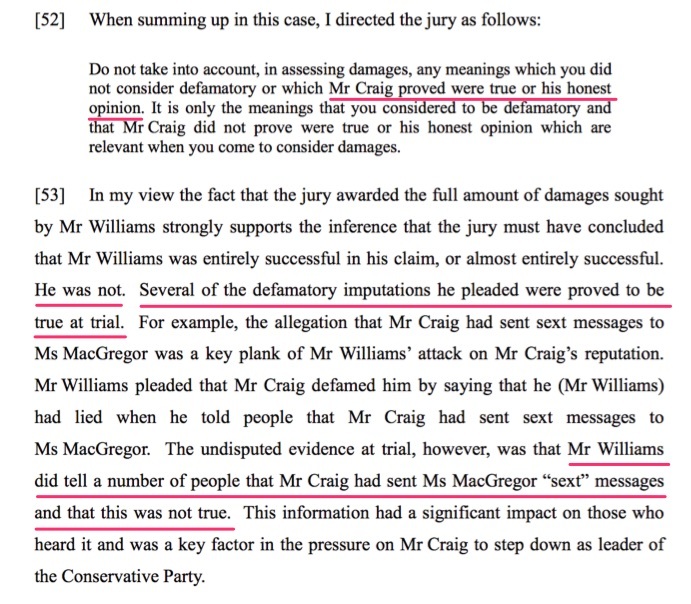 According to evidence presented at the trial, it was choirboy/lawyer Jordan Williams who repeatedly deceived Ms MacGregor (see Katz’s blistering summary in para 56 below). He ignored her requests and his promised assurances of confidentiality (remember, he told her he would treat her information as if he was her lawyer – gah!) before he then calculatedly copied and passed on her copies of Craig’s foolish, idiotic, but personal and private communications, which Williams had stored in his office safe for her – and then (according to Judge Katz) lied to Ms MacGregor about his actions. It seems plain to me that Williams was acting as part of a co-ordinated smear campaign (can you think of a more appropriate term?) against Craig. His close co-operation with Cameron Slater – providing fodder for the drooling readers of Slater’s dirty politics attack blog – reveals his true loyalties. (Not for the first time.) Not so impressive was his professed concern for Ms MacGregor’s welfare, let alone her wishes. Now sure, Colin Craig may be an awkward dipstick at times. Whatever. He may have been a prize plonker in this matter, and even fudged facts/lied himself, and acted offensively. Those claims were in evidence at the trial. But in my observation, it’s Slater and Williams who are the recidivist manipulative smear artists, not Colin Craig. It’s THEY who should be “stopped”. But go figure. 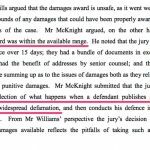 Seemingly persuaded by silver-tongued Peter McKnight’s appeal to stop a rich man from “ruining so many lives”, the jury ignored, misinterpreted or somehow otherwise bungled trial judge Katz’s directions – among other things, about how to calculate damages, taking into account instances where Colin Craig’s lawyers had proved Craig was right: that Jordan Williams had been involved in a deceitful ‘dirty politics’-style campaign. Craig’s legal team wrung admissions out of the apprentice spin doctor – but it seems the jury treated Williams like an injured innocent, a non-combatant in the grubby little war. Judge Katz’s admirably clear ruling on all this is available here and worth a read in full if you’re interested in these things. So is her earlier, useful ruling that Colin Craig was in a position of qualified privilege arising from the the fact that his character and integrity were under public attack, so he was entitled to some leeway to attack back, defending himself. In her ruling striking out the damages award you’ll see that Judge Katz says it can be inferred from the jury’s decision/award that the jury was persuaded (Hello, Mr McKnight) that Craig’s ‘ill-will’ motivation towards Jordan Williams (who was determined to destroy him, as discussed) somehow ‘lost’ Craig that qualified privilege. Personally, I disagree, but I wasn’t on the jury. 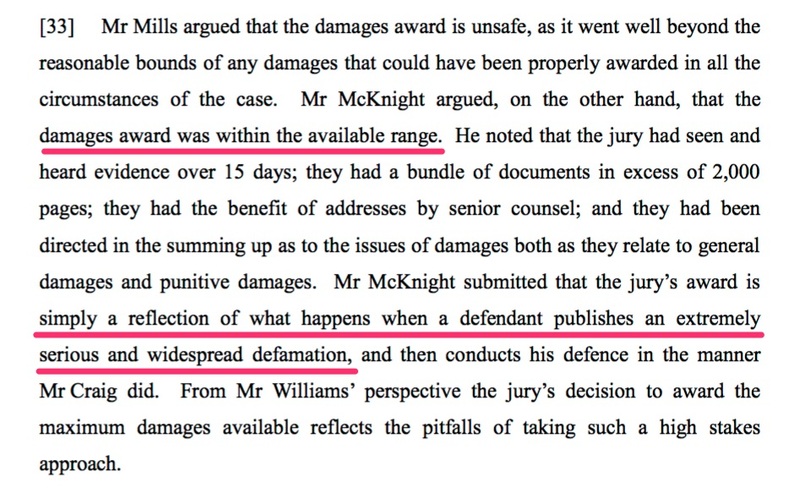 In my view it is extremely difficult to see how additional damage to Mr William’s reputation in the sum of $650,000 could be caused by what was largely a further publication of the same defamatory imputations to a similar nationwide audience, unless there was a significant element of double counting. It must necessarily be inferred, therefore, that the jury failed to adequately turn their minds to this issue. As I noted above, Judge Katz’s ruling (among other things) serves as a useful distillation of the to-and-fro of the trial, and what was brought to light about the actions of Jordan Williams. Was Jordan Willliams cynically using Ms MacGregor for his own ends? I don’t know. But some would say his behaviour as a boyfriend leaves a lot to be desired. The jury appears to have formed the view that Williams was ‘almost entirely successful. He was not’. Williams telling Conservative Party people he had seen sext messages with his own eyes, when THIS WAS NOT TRUE, is … troubling. Judge Katz’s summary is one hell of a character reference for Jordan Williams. Ruth Money told the jury that “fun, out-there, funky guy” Jordan Williams is “as honest and the day is long”. Riiiight. She defended his actions overriding Ms MacGregor’s requests not to expose her confidential information. In court, Ruth Money disagreed that it could be ‘disempowering’ for a woman in that situation to have her informal legal advisor/boyfriend act in that way. Hmmm. These events must be galling for the ‘Dirty Politics brigade’ — but even more so for the young woman whose misfortune it is to be caught in the middle of this tawdry public explosion of dickheads. It’s clear she was an unwilling participant, having settled matters with Colin Craig. As Judge Katz recounts in her ruling, that confidential settlement was comprehensively upset by the deceitful actions of her ‘friend’ Jordan Williams. For the destabilisation campaign against Craig, using whispers, exaggeration, smears and embellishments, naturally led Craig to defend himself — and clumsily breach his confidentiality agreement. (Qualified privilege doesn’t count there.) That was a bad mistake. But you might see how Craig was wounded and provoked by William’s gossip mongering. In fact, it’s likely the Slater/Williams campaign relied on pressuring Craig, and probably counted on him stumbling somewhere along the line. It’s called ‘Dirty Politics’ because it’s dirty, eh? In my earlier post about this trial (Why does Jordan Williams expose himself to so much loathing, contempt and ridicule?) I suggested this whole business would be bad for Jordan William’s reputation. It cements his membership of the ‘Dirty Politics brigade’, in the public eye. “Most people do daft things in their 20s but few of us have had quite the public profile of Jordan so our [mistakes] haven’t been played out quite so publicly. To which I say, Lay down with dogs, Jordan, and you’ll get up with fleas. I also dispute the assertion that Williams had “a good reputation” prior to his dirty campaign against Colin Craig being exposed. 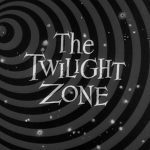 (Well, perhaps in the Twilight Zone world that Jordan’s advocates and character witnesses spun for the jury.) 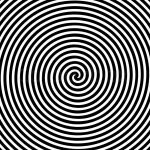 Read a few of my observations about the development of dirty politics wannabe Jordan Williams. I’m sorry to break it to him, but Jordan’s reputation has been unravelling for a while. 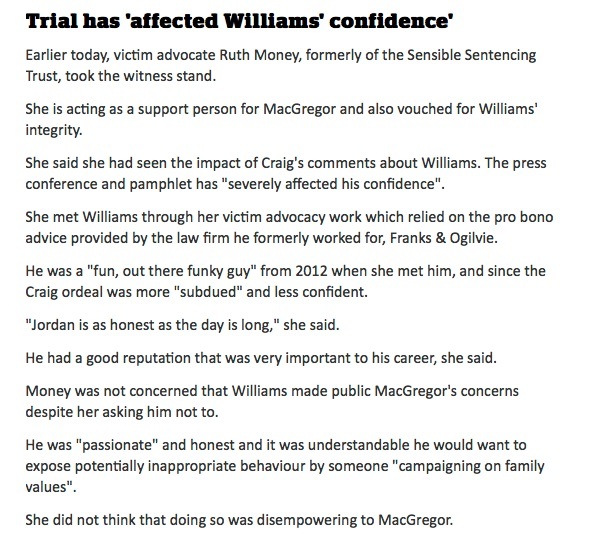 Judge Sarah Katz has pretty well damned Jordan Williams by simply listing the truth of some of Colin Craig’s supposedly ‘defamatory’ statements, and laying out the narrative of how Williams treated Ms MacGregor. And yet, Juana Atkins thinks smearing someone on (cough) ‘NZ’s #1 blog’ with untrue statements is fine? Please. 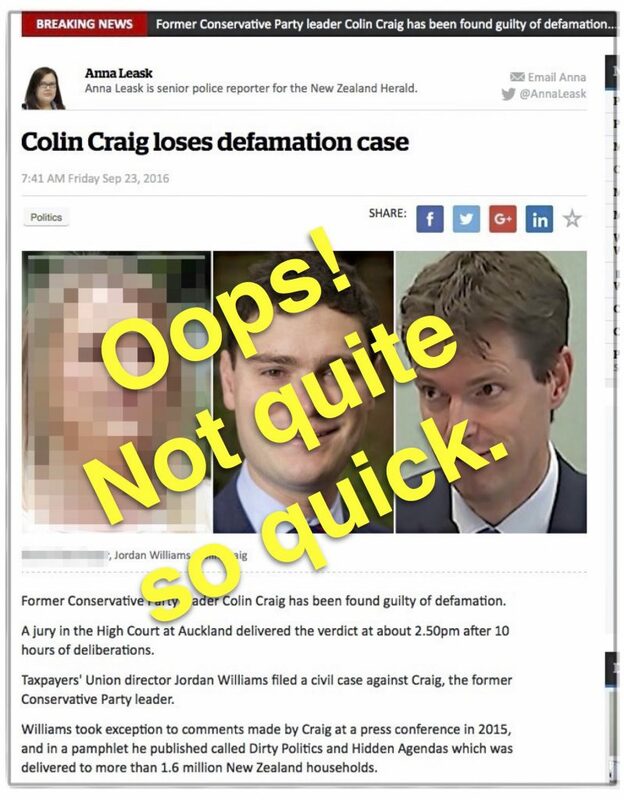 If I read her correctly, in her disjointed way, Juana Atkins holds to the notion that Colin Craig exposing/publicising the Dirty Politics campaign Jordan Williams and her husband ran against him somehow qualifies as the worst defamation in the history of New Zealand. Good grief. Para 33 Peter McKnight’s argument failed to sway the judge. Yeah, right, Peter. Thanks for sharing, says Judge Katz (not in those exact words) in para 109. Then there’s the quite different tone with which the Slater family hate blog greets discussion of the rich-person-suing-for-defamation episode featuring the Hagamans and Andrew Little. Quite different. What a shallow band of bigots they must be over there, addled by long hours of copy-and-paste duties to spoon-feed the faithful. …it is now apparent that Mr Williams and his legal team made something of a tactical error in their case. By asking the jury for such a high level of damages at the outset, they inadvertantly set themselves up for losing on appeal. I suspect that they probably never actually expected to win so heavily. Probably their reasoning was something like “if we ask for a really big amount, it’ll make the jury take this matter seriously and we might end up with a decent chunk of money from them (even if not all we ask for)”. Or perhaps the hope was that the sheer size of the claim might cause Mr Craig to cave in and settle the matter in their favour. Or similar. Unfortunately, as it turns out, the jury took the claimed amounts at face value and went ahead and awarded it in full. Which not only has now resulted in the original win being annulled on appeal, but it also opened the way for a written judgment from Katz J that (in my considered opinion) does not cast Mr Williams in a particularly favourable light. … I think it is a fair comment, based on my honest opinion after reading the judgment, that Katz J does not view Mr Williams’ conduct in this matter as being particularly noble. Heh. Funny. 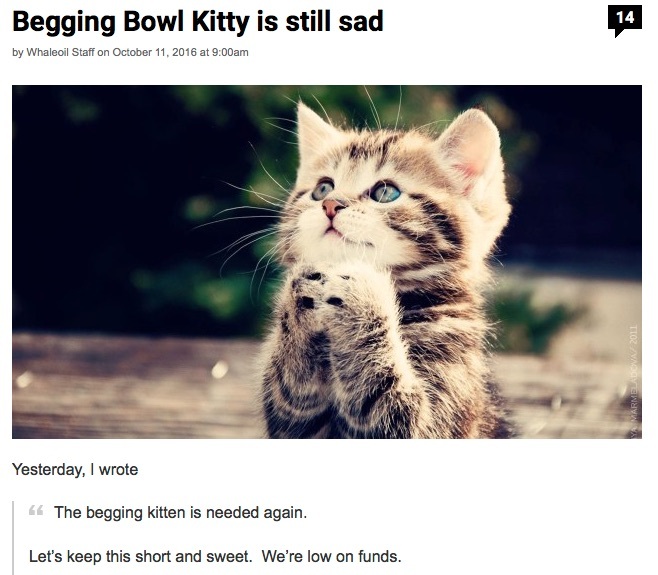 See Andrew Geddis’s post at Pundit How to lose when you win. Like Judge Katz (and probably Andrew Geddis) I also don’t regard Jordan Williams’s conduct as ‘particularly noble’ in this whole business either, for the reasons given here and elsewhere. Terrific analysis of this case. Congratulations! Thank you for enlightening us by bringing to light the key issues. The jury’s verdict at the time was incomprehensible. Seems like the wrong scoundrel was vilified.